Black long sleeve t-shirt with white line-drawing of the Sint-Servaasbasiliek in Maastricht with condoms over towers. Made for the occasion of Pink Saturday 1993. 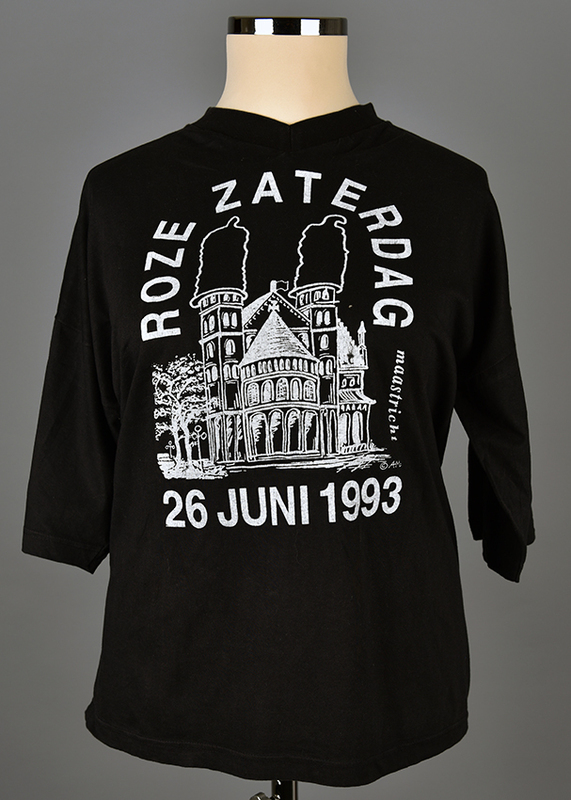 “Roze Zaterdag Maastricht,” Wearing Gay History, accessed April 19, 2019, http://wearinggayhistory.com/items/show/4667.